have group of 30 students. The majority of nurses come from the peripheral clinics in the surrounding area. One sister came from the Caprivi Strip: she spent 12 hours getting here. We also have two nursing lecturers from the University of Namibia who are based at Oshakati Hospital and two of the senior sisters from the department of health. The majority of the sisters are involved in cervical screening programmes. One of the challenges they face is the variable time they wait for the results: some sisters wait for a few weeks. Others say they wait for many months before getting the results. There is one oncologist and one radiotherapist in the Namibian public sector. They are all in Windhoek. 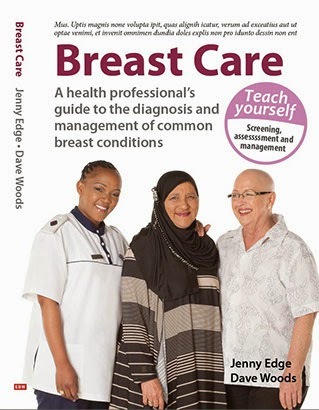 There are many other challenges faced by the nurses in managing a woman with breast problems. There is only one mammogram machine in the north of the country. It is in Oshakati Hospital. Most clinics have weekly transport to the hospital but the nurses do not have easy access to imaging. At the beginning of the morning we concentrated on clinical assessment of a woman with a breast problem. Once again, we had our good looking model: Dr Oscar Benyera. In the afternoon, we were joined by Dr Brown. Dr Brown is a local surgeon who did his post graduate training in Johannesburg. 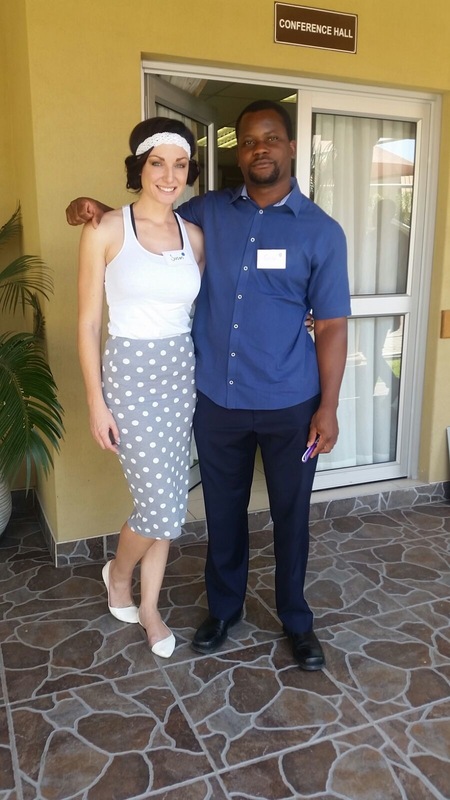 He has a particular interest in the management of breast problems and is one of the few surgeons in the north of Namibia. He gave several lectures and taught the workshops. I taught the workshop on the limitations of the use of cytology. I was very impressed at the knowledge of the nurses I taught. Many thanks to the people who have made the course happen. The Namibian Department of Health, the University of Namibia Medical School and our sponsors: Novartis and Pathcare. It has been a real pleasure having Dr Oscar Benyera and Susan van Zyl with us: thank you.